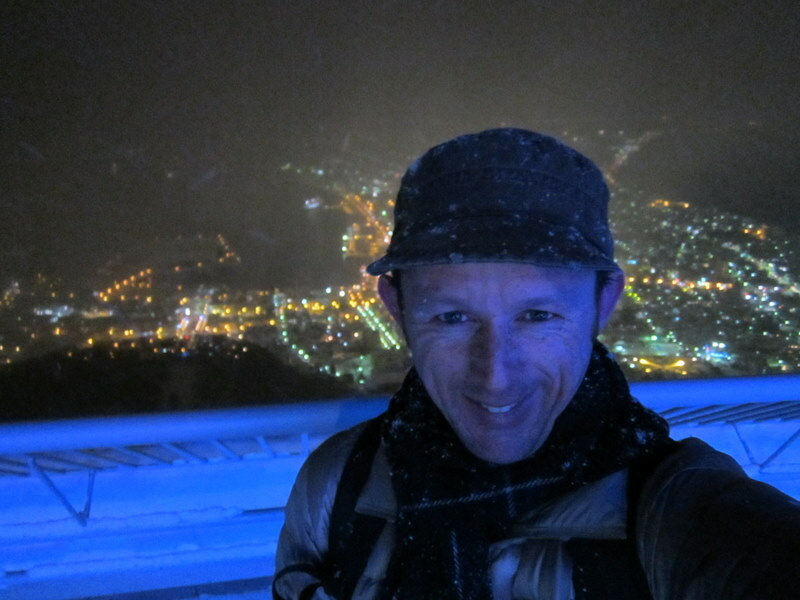 So, you know how the other day I was going on about the snow in Nagano and at Nozawa Onsen. Well I retract any comments to the effect of “oh wow! it is so much snow and so cold!”. I misunderestimated what Hokkaido was going to be like. 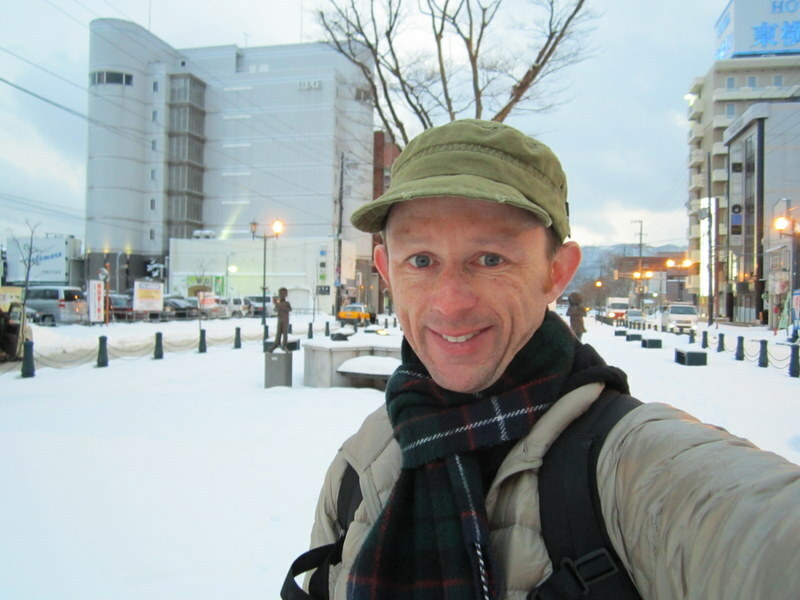 Anyway, this adventure begins in Nagano a couple of days ago, bidding farewell to my hosts at the ryokan there. It was odd… on a couple of nights I seemed to be the only one there. Regardless (or maybe as a result) the old couple who ran it were absolutely lovely… always coming out when they heard me near the front door, and on most mornings offering me a heat pack to keep me warm. So I said sayonara and away I went to the train station to begin the fairly epic journey to Hakodate on the northern island of Hokkaido. Now in most other countries you would not even contemplate going that far by train (maybe 1000 km?). But when you have the shinkansen for a good proportion of it, it can be done. It was still about 7 hours in total, but I was happy to enjoy a travel day and see some more countryside. So what did I see? 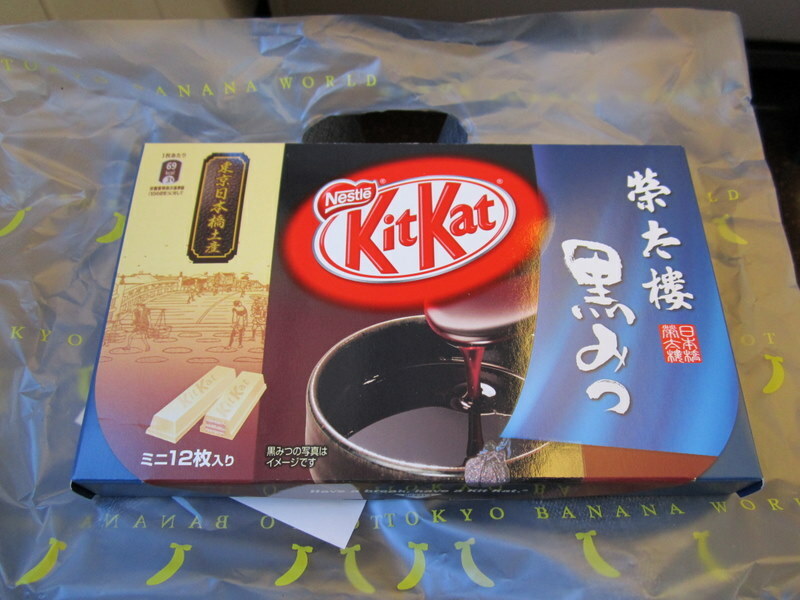 First of all… Kit Kats! At my first stop in Omiya I came across the Kuromitsu flavour which is like a dark maple syrup flavour. I am pretty sure I had had then before, but why not buy them anyway? From Omiya it was time to take another shinkansen to the top of the main island. What did I see during that time? Well, the picture at the top was my view for a bit of it. Yep… snow, and a lot of it. It ws going to be getting cold alright. I’m how far under the water?! That got me to Shin-Amori where it was off a bullet train and back on to a fairly regular slow train. This time the view was going to be quite different. Why? Well, because I had to get from one island to the next, and to do that I had 50km of under sea tunnel to travel in. 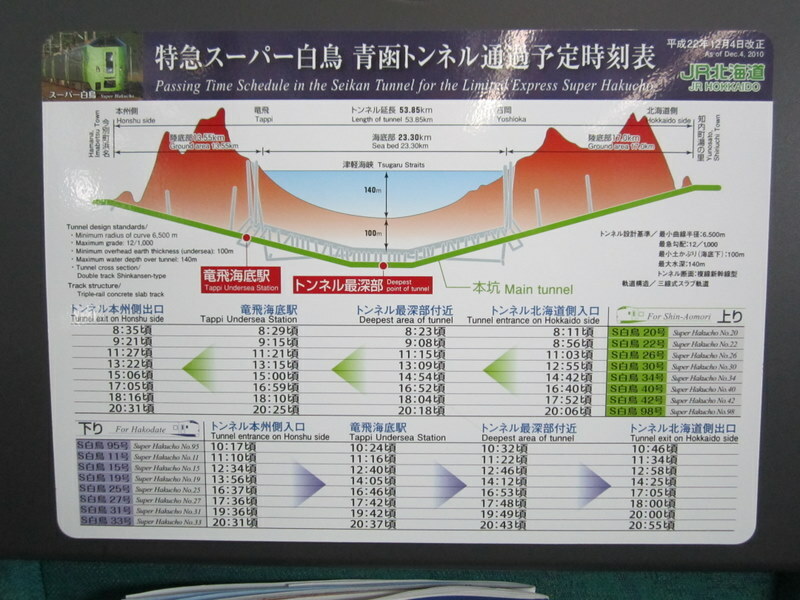 The pic above shows the journey and you may even notice that there is indeed a station in the tunnel. We actually stopped at the station believe it or not, and apparently a few years ago you could hop out and do a tour of the underground tunnels. Alas not to be due to the works they are doing to get a shinkansen all the way to Sapporo. So on the other end of the tunnel I emerged into a whiteout. 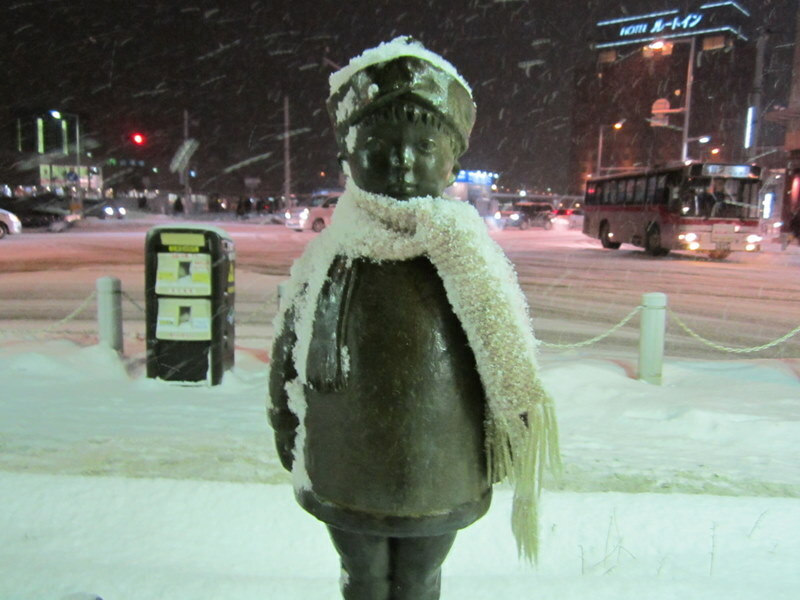 I was in Hokkaido alright! 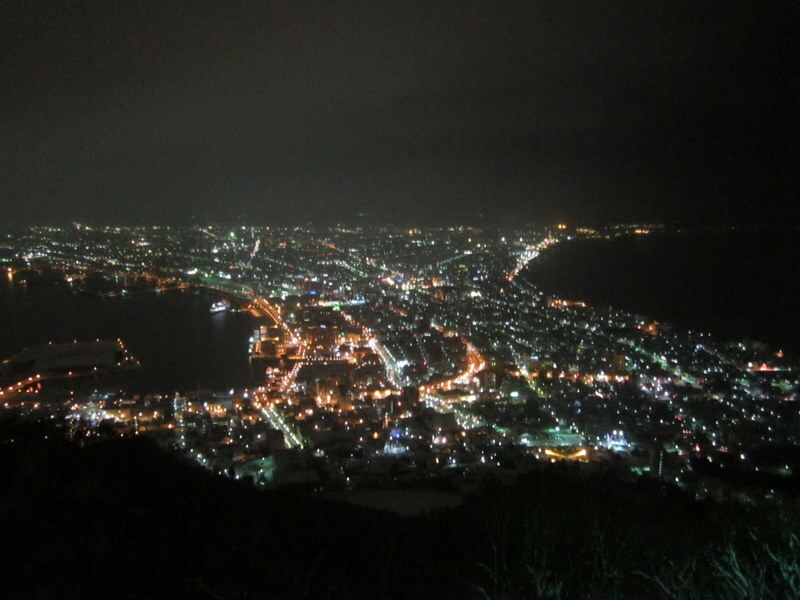 the journey was slow until we arrived at Hakodate, my destination for the night. I decided to break the journey to Sapporo up a little on the way, to let me see somewhere different. Hakodate was apparently a pleasant fishing town at the base of a cool mountain to let you see over the town and across the water. So it seemed alright. After checking in to my somewhat dodgy accomodation (dodgy in the sense it seemed to be just an old business hotel that no one really uses anymore… odd place to find on a hostel booking site) I decided to wander. Now a couple of things were conspiring against me. First of all being further north it got dark pretty quickly. By about 4:30pm it was well on the way to being dark. Next it was minus 7 degrees and snowing. Brrrrrrr. But coming to Hokkaido I asked for it, so it didn’t stop me. There is nothing really in the way of historical things here in Hakodate so I wandered down to the water. 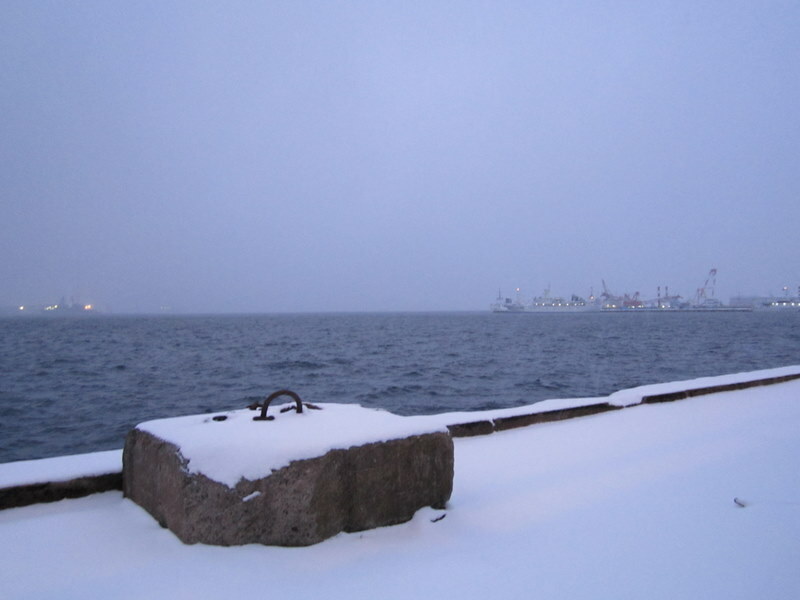 Quite weird to be at sea level and standing in a foot of snow. 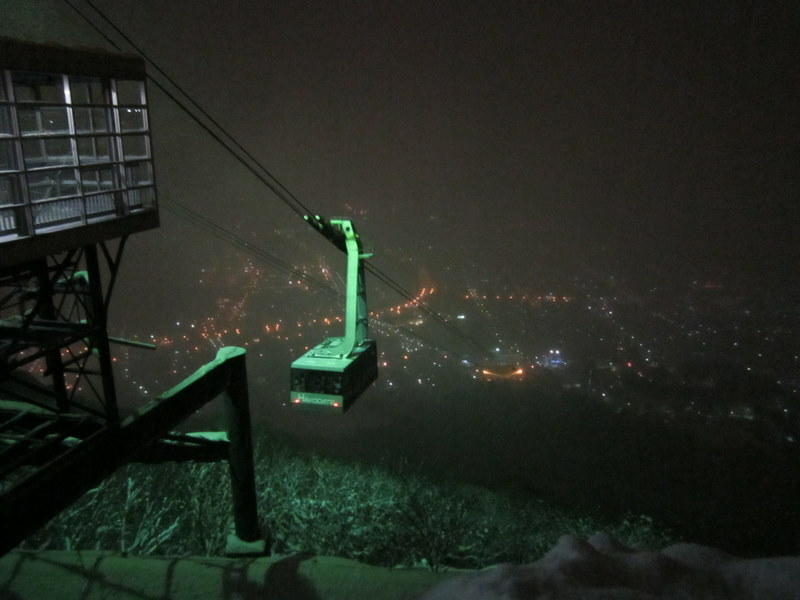 From there I did the meander to the base of Mt Hakodate and decided to ride the gondola to the top. Given the town seemed quite quiet, it was quite busy on the way up to the top. This must be the main thing to do when in town. I was a little reluctant given the amount it was snowing, but I thought why not. Up the top it was alright. There were moments where the view was quite nice, with the town all lit up below. But the cold and snow made it a bit difficult to appreciate and take the time to soak in the views. Kit Kats! 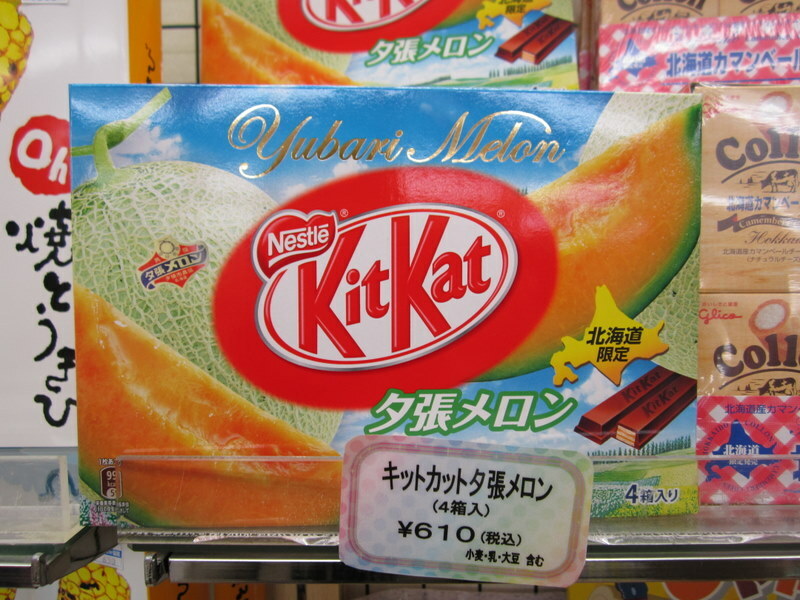 Melon flavour this time. Seems to be an Hokkaido thing. Taste OK, certainly melony, but not too sure. 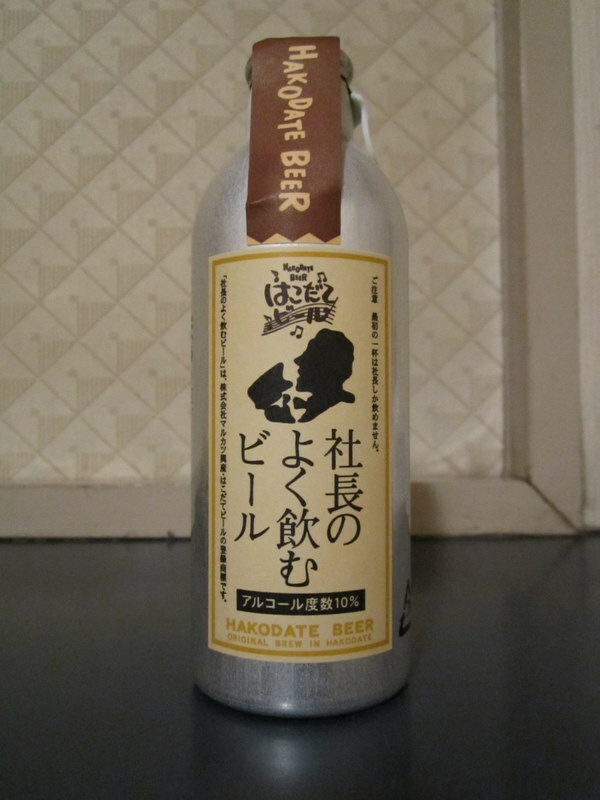 And I also found this cool little bottle of Hakodate Beer, made locally. I couldn’t read the label except to gather it was 10% strength. Interesting! And interesting was indeed the word… not something I could drink too easily to be honest. I will be enjoying the beer in Sapporo a lot more I think. So with that I headed back down, grabbed some food, and headed back to camp for a quiet night. Given the lack of internet, I spent some time typing this up to be ready to post. Now, to this morning! I had a lazy start to the morning, checking out of my digs, and wandering Hakodate for a couple of hours again. Seemed the place to be was the fish market. This was like most I had been to… though not too huge this one. The one thing that seemed a bit different was there was way more crab, and for the most part were all alive waiting to be bought. At first I thought they weren’t, all sitting there tie up on the ice. But then I looke dmore closely at some and yep, they seemed alive alright. Hhhmmm. With that killing some time it was on to the final train leg to Sapporo. This was a 3.5 hour fairly slow and winding trip up the coast. 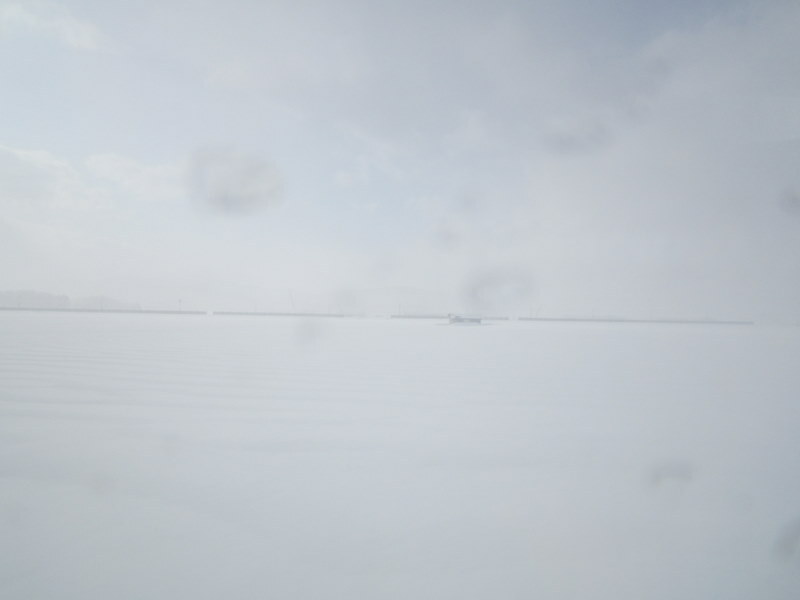 My mind still had trouble reconciling seeing the sea with feet of snow piled up on the shore. Too awesome. So with this leisurely journey I arrived into Sapporo about 3:30pm. Given I was all backpacked up, I decided to head straight to the hostel and check in rather than explore. The hostel was easy to find (a 5 minute subway ride) and must say it is pretty nice. Nice and new with a double sized room to myself. Win. And wi-fi (obviously). I did a little wander around the neighbourhood, but decided to just grab some food and head back to do my washing (which was a touch overdue). One reason was that it was just that bit far to wander back into the centre of the city. It was also getting dark, but also because it was minus 10 degrees. Yep, double figures in minuses. Better get used to it. Oh, sorry for the lack of photos in this post, especially in the latter half. Not much to take photos of for the most part (and a bit difficult when I am all backpacked up).